Samyang has already released two autofocus FE lens for Sony full frame mirrorless cameras. 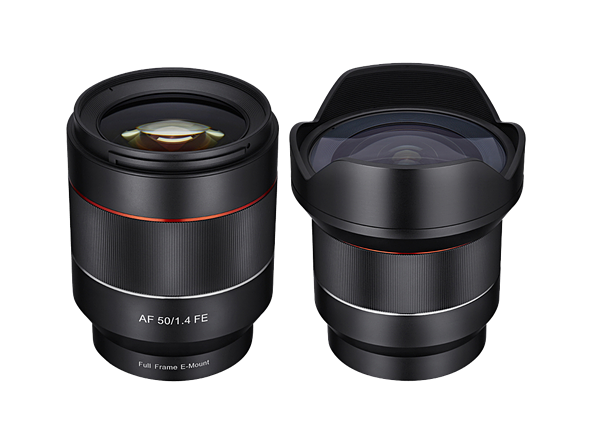 They are Samyang 50mm f/1.4 AF FE lens and Samyang 14mm f/2.8 AF FE lens. Both lenses are already in stock at B&H Photo Video. According to an interview with a Samyang manager, Samyang is going to announce one or two more autofocus FE lens in 2017. It seems we will have more FE lenses from third part lens companys, as Sigma, Tokina will also release their FE lenses in 2017. Next Next post: New Batis Telephoto Prime Lens Delayed Until 2017 ?